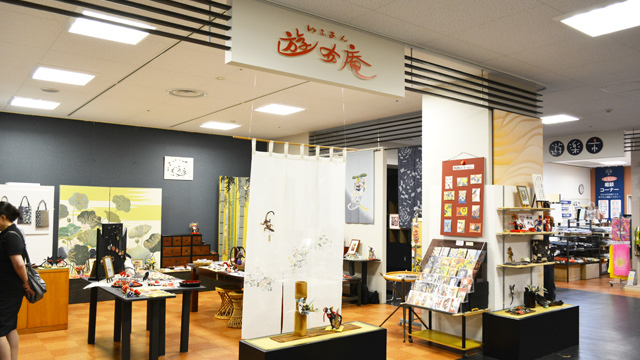 Yufuan is a plant/Yuzen-dyeing workshop located in "Kimono Town" Tokamachi. 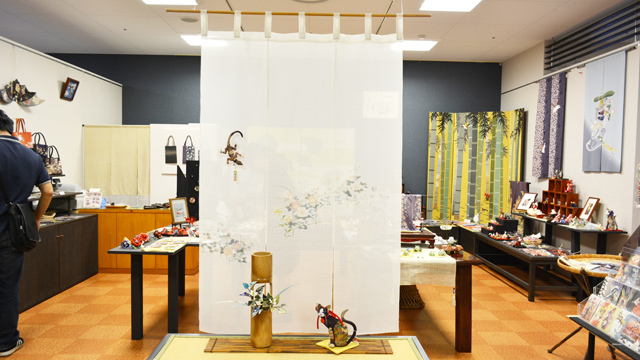 The shop produces each craft carefully by hand from kimono silk and other fabrics, mainly using plant dyes. 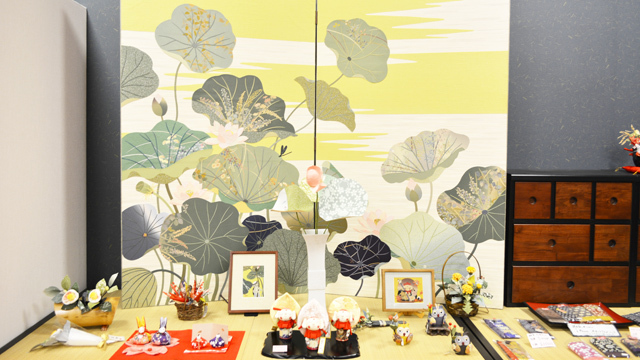 In this shop, many small crafts made of kimono fabric are waiting for you, including flower bouquets, accessories, bags, Chinese zodiac ornaments, noren (traditional ornamental curtains), and pretty stuffed animal dolls. 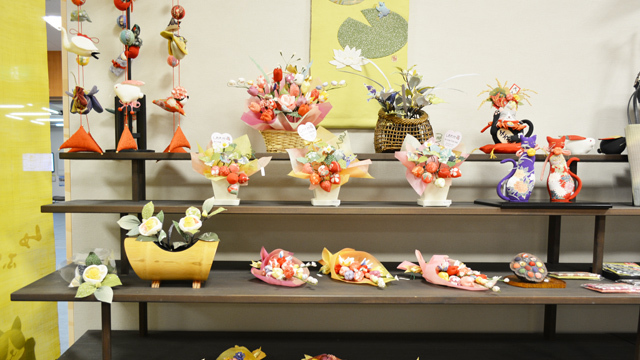 Crafts posted on this page are available not only at "Road Station Cross10" but also by mail, so please feel free to contact us by phone or fax. 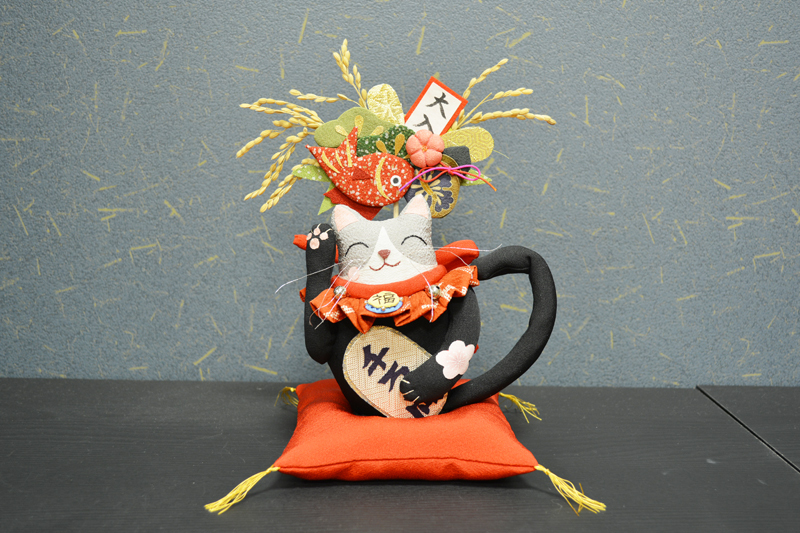 A "Maneki-neko" (beckoning fortune cat) with an oval gold coin in one hand. God would not ignore any request being made with such a pretty face. 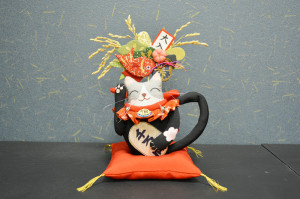 The cat’s head is decorated with a fortune-bringing sea bream and "Ooiri Bukuro" (full-house bonus bag). 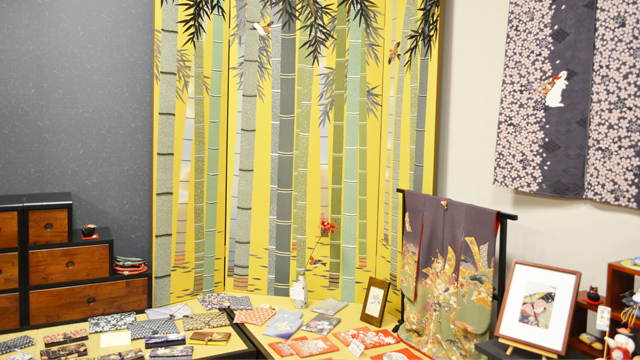 "Kimono" might sound like something far away, but how about getting familiar first with a one-and-only Japanese craft made of kimono fabric? 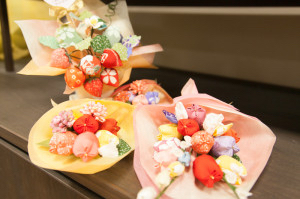 These goods are also ideal as presents for Mother's Day and Respect-for-the-Aged Day (in September). We will be glad to make crafts to your order as well.